Basic Fire Safety Training is a legal requirement that must be provided by all Employers. This training is designed to give an overview of good fire safety practice at work; identifying potential fire risks, explaining what to do on hearing a fire alarm and how to utilise different types of firefighting equipment. know the effects of fire in the workplace. the responsibilities of an employee and their employer. Understand the chemistry of fire. 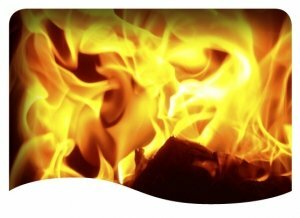 gain a knowledge of the types of fires & how fire spreads. learn ways of identifying and preventing potential causes of fire. be able to identify fire safety signs and their meanings. Know what to do in the case of a fire. Understand the use of firefighting equipment. This course is targeted at businesses needing to train their staff in fire safety procedures. Learners normally complete the training and assessment between 45 – 60 minutes. Our Fire Safety training course contains 6 fully interactive training sections for the learner to work through at their own pace. The 6th section is a Fire Safety assessment to show understanding.